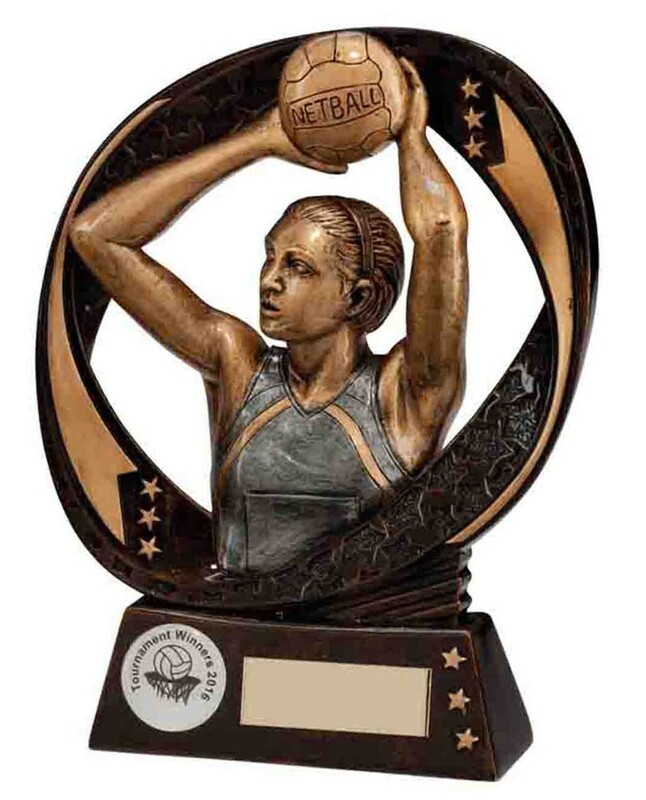 Resin Typhoon Netball Figure/Player Award. Available in 3 sizes, 90mm, 130mm and 170mm inches high. Antique bronze with gold and silver detail. 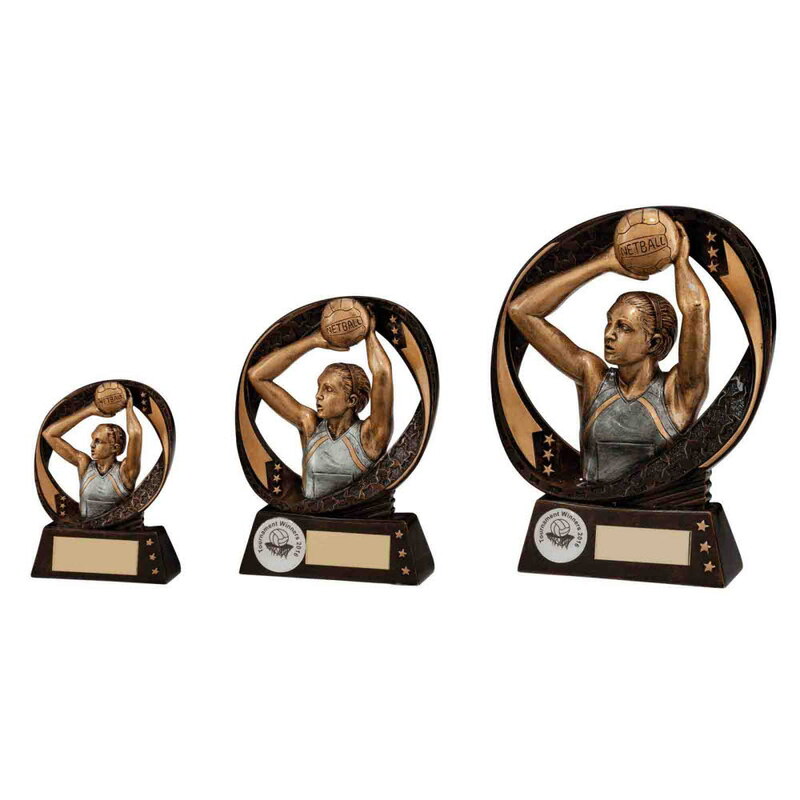 Great netball trophies. Free engraved plate included and standard 1 inch centre. Customised centres available at an additional charge. Please note the smallest size does not have space for a centre.